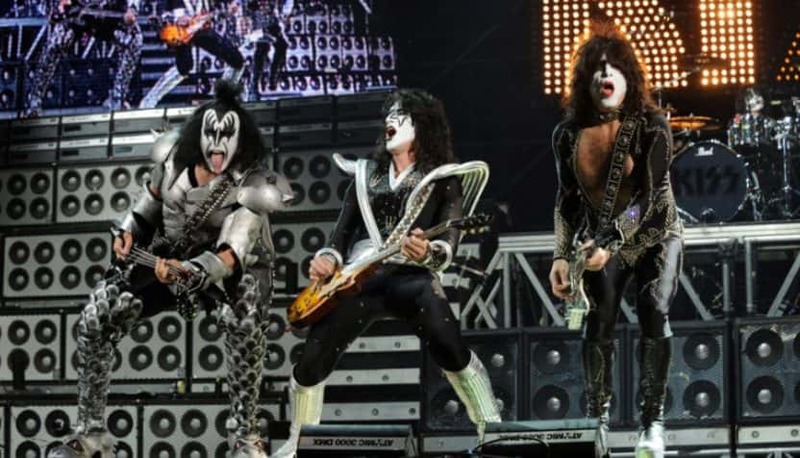 KISS announced last month the first round of dates for their farewell tour titled “End Of The Road.” Now the rockers are confirming the second leg of their North American Tour, which will run from the beginning of August through mid-September. The band will kick off the second leg of their End Of The Road Tour on August 6 at the BB&T Center in Sunrise, Florida, and will make their way through stops in South Carolina, North Carolina and Virginia before heading north for two shows in Canada. The North American leg of the tour is tentatively scheduled to wrap up at the Oracle Arena in Oakland, California on September 16. Tickets go on sale on Monday, December 3 at 10 a.m.and the KISS Meet & Greet Experiences will be made available Tuesday, November 27 at 10 a.m. Full details can be found at the link here.